As Formula One heads into 2016, Bernie Ecclestone would like to remind you that the series he’s led into a repetitive parade of power unit penalties and predictable action is crap. Again. The problem is, I see things as they are and not the way I want them to be. Do you think it’s right when Fernando Alonso — you’ve probably heard of him, he’s a former world champion — is at the back of the starting grid? Is it right that a driver changes his engine, qualifies in third place and then has to start from 13th? Is that right? Formula One is crap. Right now, we need to look at these things. The public has no understanding for that. They watch the race, know that someone has qualified second or third but is now suddenly starting from the middle of the grid. And why? Because they’ve changed their engine. Or their gearbox. We can solve this problem, but we can’t wait several years. This isn’t the first time Ecclestone has used a scatological (and accurate) term for the state of affairs in F1 this year. 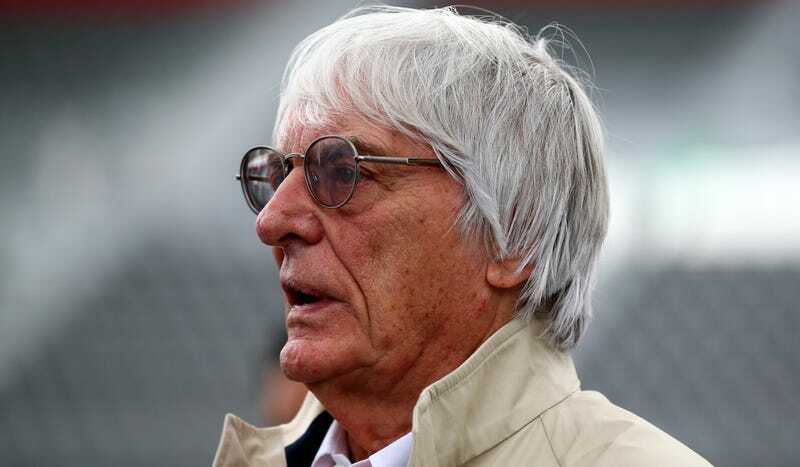 Back in June, he called Formula One “a crap product” to the AFP news agency, Autoweek reports, referring to the lack of entertainment provided by this season’s predictable racing. Sometimes the World’s Most Filterless Mouth blurts out the truth, and I think Ecclestone’s on to something in his latest statement on the turdy state of the sport. The record numbers of power unit penalties made things hard to follow for casual fans. Why bother tuning in for qualifying if the starting grid was going to be shaken up before the race starts? Unfortunately, while Ecclestone is the chief executive for the Formula One Group, it’s incredibly difficult to get the rest of F1’s powers-that-be to agree to anything that might save the sport. As it stands, if it inconveniences a member of the Strategy Group—which naturally has no smaller, struggling teams as members—it’s unlikely to gain their approval. Regardless, Ecclestone and FIA president Jean Todt were given a mandate to address cost reduction, governance and power unit issues by the FIA earlier this month, reports Autoweek. New engine regulations are due in 2017—which could fix some of what’s crap about F1 right now—but it sounds like Ecclestone is expected to at least make some effort to unclog the toilets before then.